Since its publication in 2007, A Brief History of the Spanish Language has become the leading introduction to the history of one of the world’s most widely spoken languages. Moving from the language’s Latin roots to its present-day forms, this concise book offers readers insights into the origin and evolution of Spanish, the historical and cultural changes that shaped it, and its spread around the world. A Brief History of the Spanish Language focuses on the most important aspects of the development of the Spanish language, eschewing technical jargon in favor of straightforward explanations. Along the way, it answers many of the common questions that puzzle native speakers and non-native speakers alike, such as: Why do some regions use tú while others use vos? How did the th sound develop in Castilian? And why is it la mesa but el agua? David A. Pharies, a world-renowned expert on the history and development of Spanish, has updated this edition with new research on all aspects of the evolution of Spanish and current demographic information. This book is perfect for anyone with a basic understanding of Spanish and a desire to further explore its roots. It also provides an ideal foundation for further study in any area of historical Spanish linguistics and early Spanish literature. A Brief History of the Spanish Language is a grand journey of discovery, revealing in a beautifully compact format the fascinating story of the language in both Spain and Spanish America. 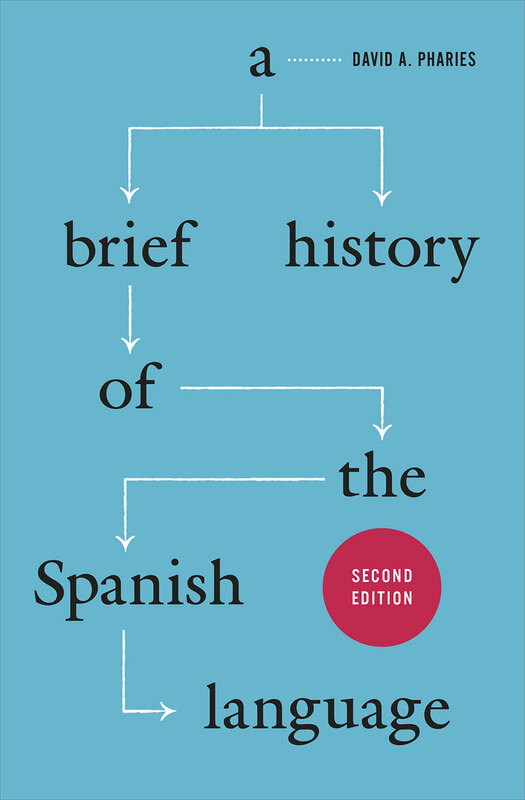 "The second edition of A Brief History improves an already strong work in Spanish historical linguistics. As in the first edition, Pharies debunks—in an engaging manner—a number of 'linguistic myths' about Spanish orthography, pronunciation, and grammar." "What separates Professor Pharies's book from others dealing with the history of Spanish is the approach hinted at in his title and explicitly mentioned in the preface by which, in essence, less is more. . . . A Brief History of the Spanish Language merits serious consideration by any instructor who teaches the history of Spanish." "Pharies’ A Brief History of the Spanish Language achieves exactly what its author appears to have set out to do, viz. present a wide-ranging, succinct and readable account of the history of Spanish. Better still, its attractive presentation, both stylistic and typographical, will provide encouragement to students who otherwise might regard Spanish diachronic linguistics as a rather arid affair."